Dec - 22 | Add comments. Children too suffer from mental illness occasionally. There are many ways a child could get affected by mental disorders. Anxiety disorders: In this kind of disorder the children react to certain situation with a lot of dread and fear. They show a lot of physical signs like nervousness and anxiety , rapid heartbeat and sweating. Pervasive developmental disorder: Children sometimes have a lot of confusion in thinking and also have a lot of problems to understand the world that is around them. 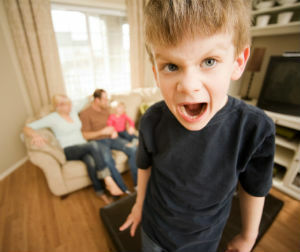 Disruptive behavior disorder: Children show a lot of disruptive behavior and normally have an inclination to defy rules and regulations. This is most pronounced when the child attends school. Elimination disorder: In such a kind of disorder the child shows a kind of behavior related to body wastes. Affective mood disorder: In such disorders there are regular feelings of hanging moods and sadness. The moods change rapidly and the person is very depressed on the whole. Schizophrenia: this is a very serious malady that shows a lot of thoughts and perceptions that are distorted. Tic Disorders: In this kind of disorder, the person shows sudden, repeated and involuntary sounds called tics. Out of the mental disorders mentioned above, the developmental and behavioral disorder alongwith elimination and learning disorders are seen mostly in children. 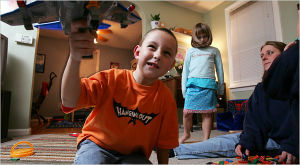 They normally start early in childhood and then continue into adulthood. In some cases, the tic disorders are seen to be visible in adults. But there are also instances when a child gets more than one disorder. Symptoms in children vary depending on the kind of illness they have but some of the general symptoms include a change in the performance in school such as poor grades in spite of hard work. There is a sudden abuse of alcohol or drugs. There is an inability to cope up with activities and daily routine. The child shows a sudden change in the eating and sleeping habits. There are regular complaints of an ailment. They defy authority, and steal or damage property. These children also fear gaining weight. There are negative moods and also thoughts of death at times. There are regular anger outbursts and a lack of interest to spend time with friends. There is a lot of time they spend alone. These children are hyperactive and show a lot of anxiety and worry. There is a persistent fear of night terrors. They show a lot of aggressive behavior and disobey. There are frequent temper tantrums. Why exactly a mental disorder is caused is unknown but research has it that there are many reasons why this happens. It could be biological, hereditary, or psychological and at times it is the environmental stress too that could be the cause. If it is hereditary then the mental illness is in the family. So there is a likelihood of developing a mental disorder that could be passed from the parent tot the child. Some disorders are related to special brain chemicals which are called neurotransmitters. These are nerve cells found in the brain which communicate with each other. If these chemicals are out of balance then the brain might not receive the messages correctly. There are some illnesses that occur due to psychological trauma. So at such times they get very emotional and sometimes also land up in sexual abuse. .this is also seen in children who lose their parents at a young age. Mental Illness in children is diagnosed based on the symptoms and signs that show that there is a disorder. This is a process that could be quite difficult and challenging when it comes to children. There are some behaviors which are seen as mental disorder symptoms. This is anxiety, shyness, temper tantrums, etc which are aright for a short time. But if these continue then the child has to be taken to a doctor and proper treatment given. Behaviors become symptoms when their frequency increases. These are also seen to occur at an unusual age and cause a lot of upsets in the family. The doctor would assess whether to give medicines or whether to refer to a psychologist. If there is no illness than the doctor would give the report as such. Mental health in children is a crucial part of growing up. Learn how best to identify such an illness and how to handle it. Hysterosalpingogram – When is it necessary?